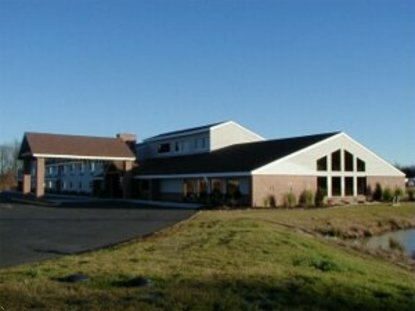 Your visit to the AmericInn Lodge and Suites of Harrington will bring you to the Hub of Delaware. Conveniently located across from Harrington Raceway, Midway Slots and Simulcast, the State Fairgrounds, and the Centre Ice Skating Rink, we offer cozy comfort, tasteful decor, and country hospitality. Complimentary oversized pool area with vaulted wood beam ceiling, hot tub, pool table, and exercise room. We have a complimentary enhanced continental breakfast which includes hot and cold cereals, breads, pastries, bagels, English muffins, hard-boiled eggs, fresh fruit, and hot Belgian waffles. We also accept dogs, so bring your best friend along for a small fee.